Heat oven to 400°F. 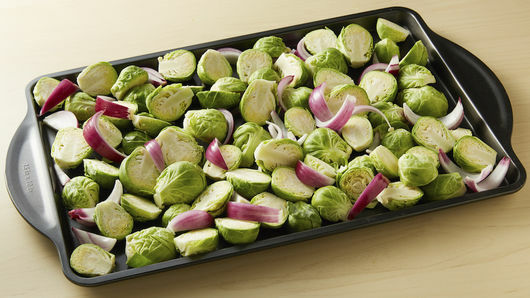 Remove any wilted leaves from Brussels sprouts, and trim stem close to heads; cut in half. Spray 15x10-inch pan with sides with cooking spray. 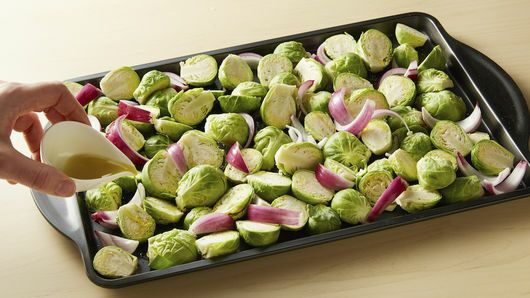 Place Brussels sprouts and onion wedges in single layer in pan. Drizzle evenly with olive oil. Sprinkle with salt and pepper; stir gently to coat. Roast uncovered 25 to 30 minutes or until tender and lightly browned. Sprinkle with cooked bacon. 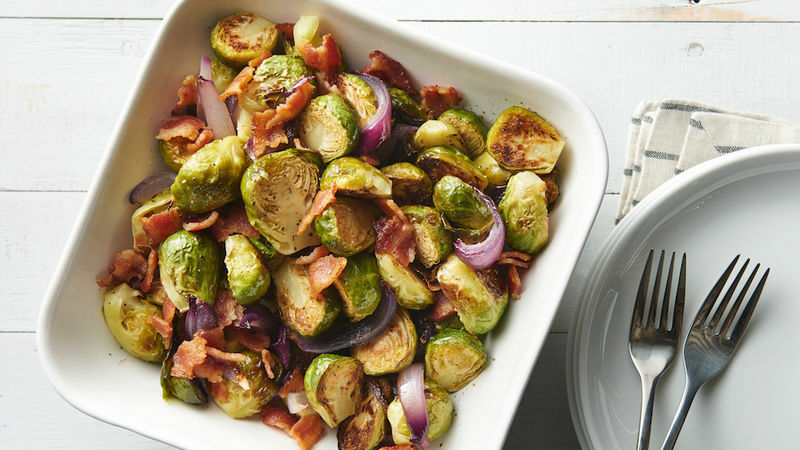 Drizzle the Brussels sprouts with a little balsamic with the olive oil for more flavor. You can cook the bacon in the oven for convenience. Line the rimmed pan with foil. Place strips of bacon on pan. Bake at 400°F 20 to 25 minutes, turning halfway through cook time, until crisp.